India's push to go cashless has another high-profile supporter: Google. 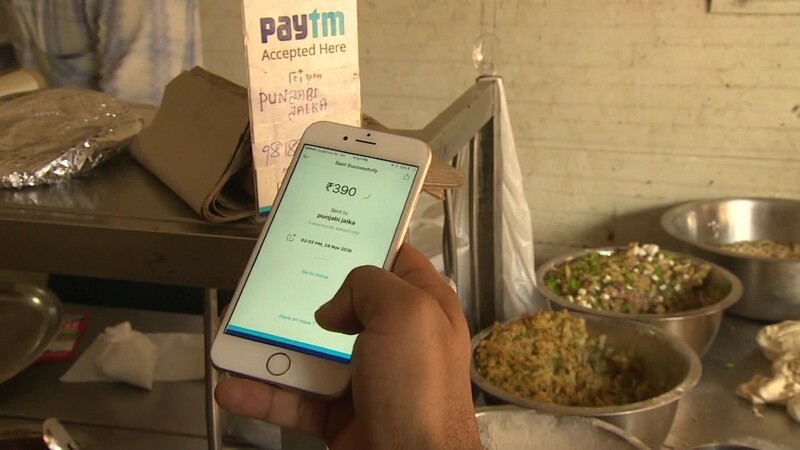 It launched a mobile payments app designed for the Indian market on Monday, becoming the latest big player to join an increasingly crowded field. The app, called Tez, will connect users' smartphones to their bank accounts via India's Unified Payments Interface (UPI), a platform already used by 55 of the country's top banks. Tez is available on Google's (GOOGL) Android operating system as well as Apple's (AAPL) iOS. "I believe that in our lifetime we will witness a digital transformation of the Indian economy," said Caesar Sengupta, the executive leading Google's push into emerging markets. "In many areas, we will see India leapfrog the West. One area where this is going to happen is payments and commerce," he told reporters in Delhi. Tez, like other mobile payment apps, will allow users to send money to each other as well as make payments to vendors who have the app. Indians still pay for most things in cash but the government is pushing hard to move those transactions online, championing digital payments through initiatives such as UPI and the country's national biometric identification program. Digital payments in India also got a massive boost last November when Prime Minister Narendra Modi banned all 500 and 1,000 rupee notes -- the two largest currency denominations at the time. The move threw the cash economy into chaos and forced many to switch to digital payments so they could keep buying essential goods and services. "A lot of people went in for digitization in terms of a mode of payment more out of compulsion, rather than finding it a more convenient method to transact," Finance Minister Arun Jaitley said Monday at Google's launch event. "What started as a compulsion becomes a matter of convenience and eventually a matter of spending habit as far as Indian people are concerned." Several top companies have already gotten in on the act in the hope of winning over India's 400 million internet users. They include Alibaba (BABA), with its Paytm service, and Indian e-commerce giant Flipkart. Facebook (FB), which already has over 200 million monthly users in India, plans to offer digital payments on WhatsApp. Tez marks Google's latest effort to grow in India, where about 900 million people are not yet online. The company is providing free WiFi to over 100 Indian train stations, and launched an offline version of YouTube last year. Google is also using Tez to push further into India's non-English speaking population. The mobile payments app will be available in seven Indian languages -- Hindi, Bengali, Gujarati, Kannada, Marathi, Tamil and Telugu. The app could be introduced in markets similar to India in the future, Google said.